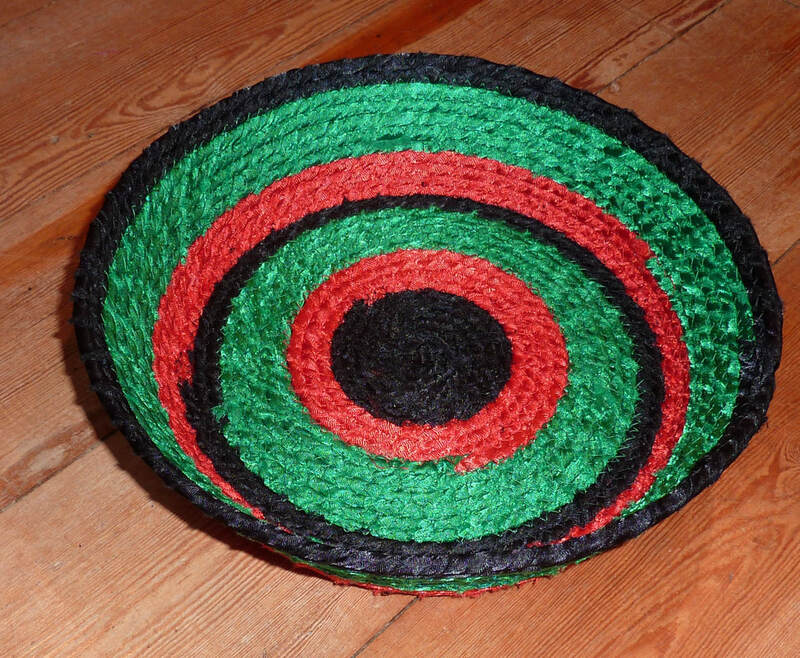 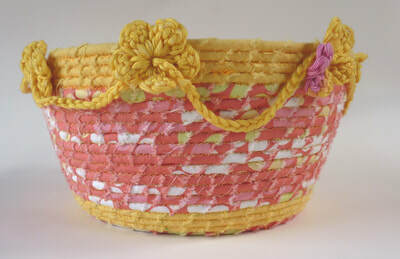 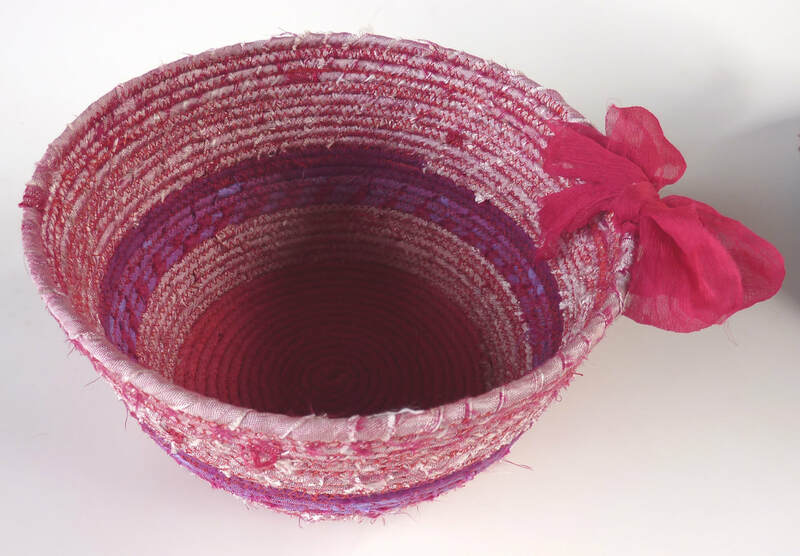 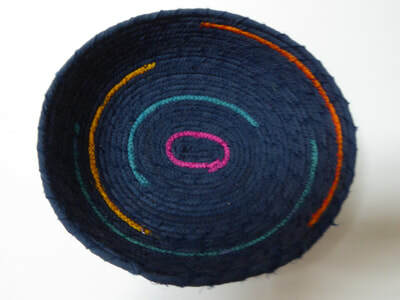 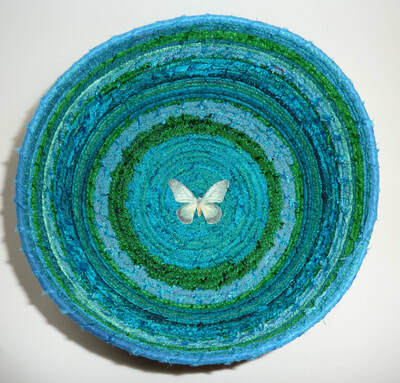 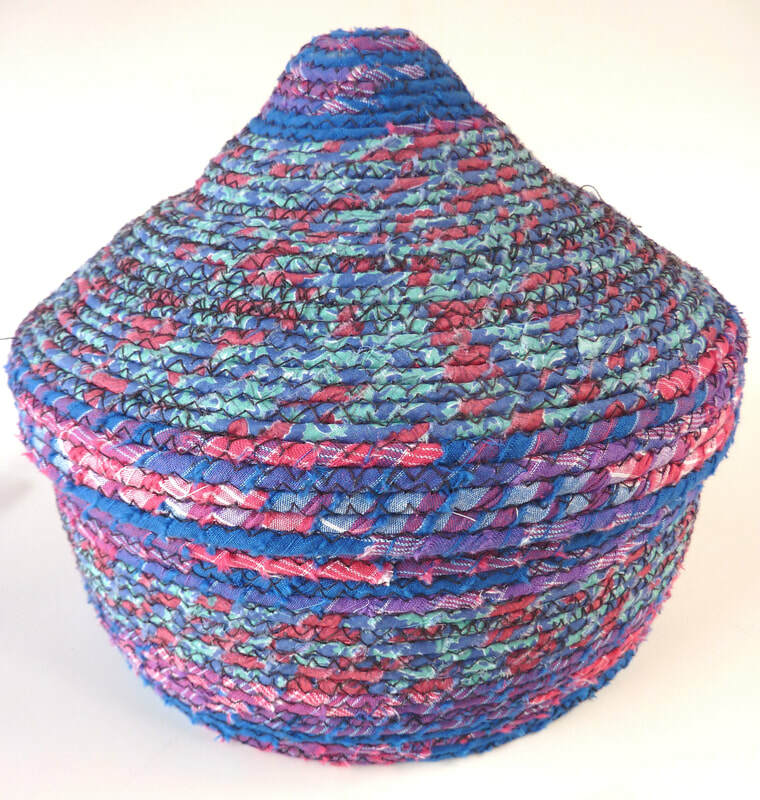 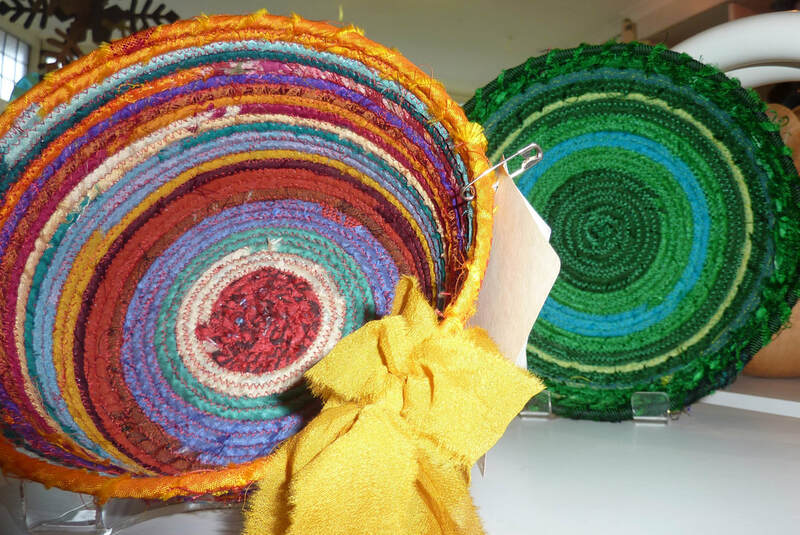 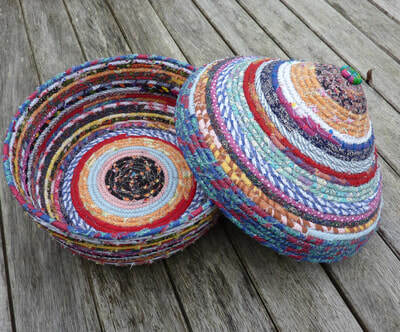 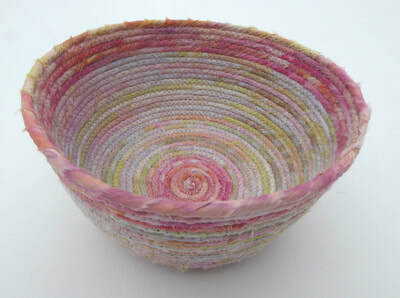 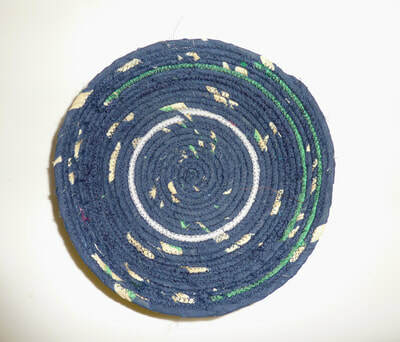 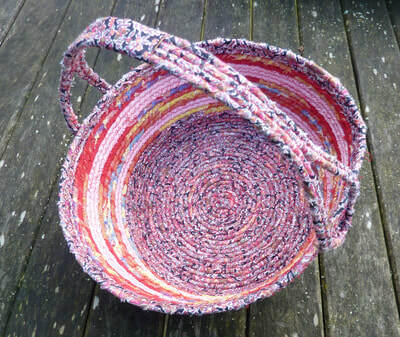 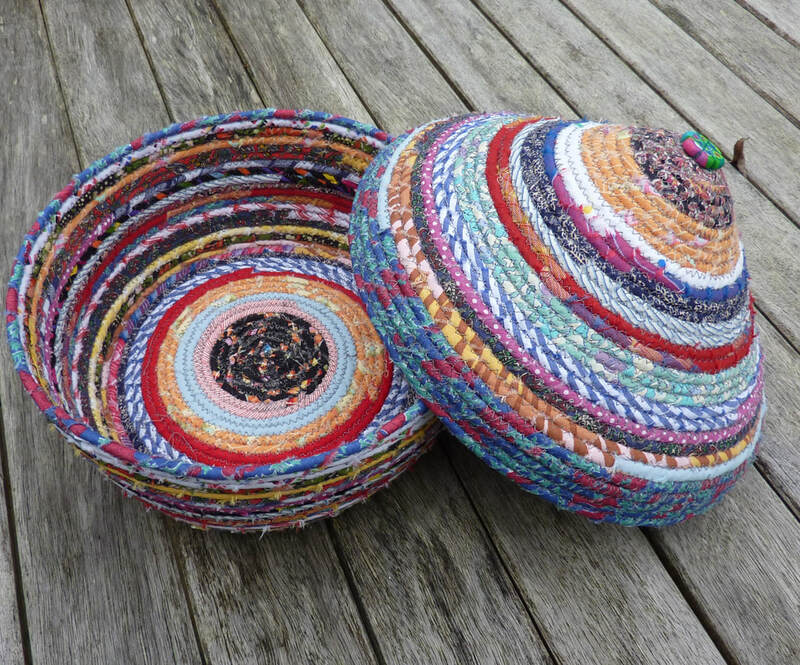 Colourful coiled fabric baskets - for every room in the house! 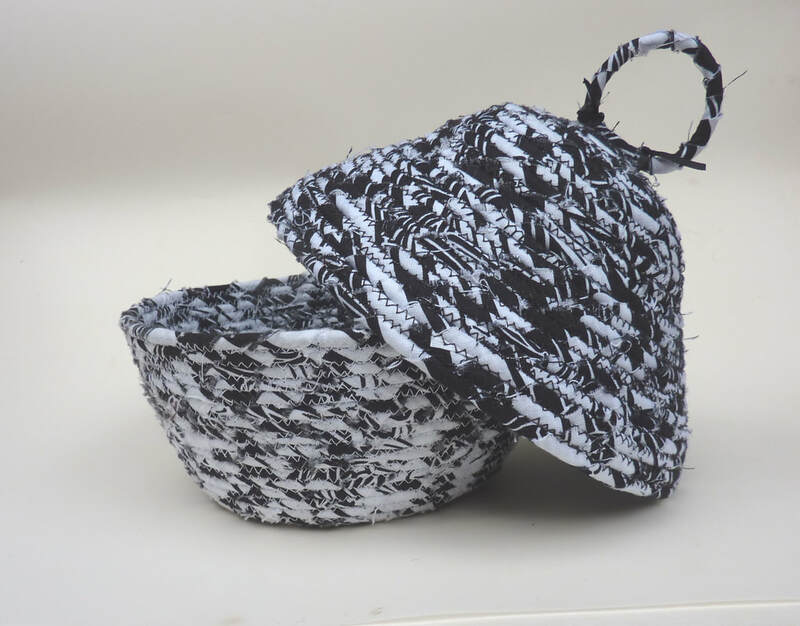 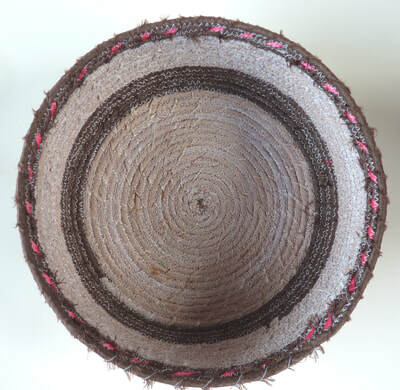 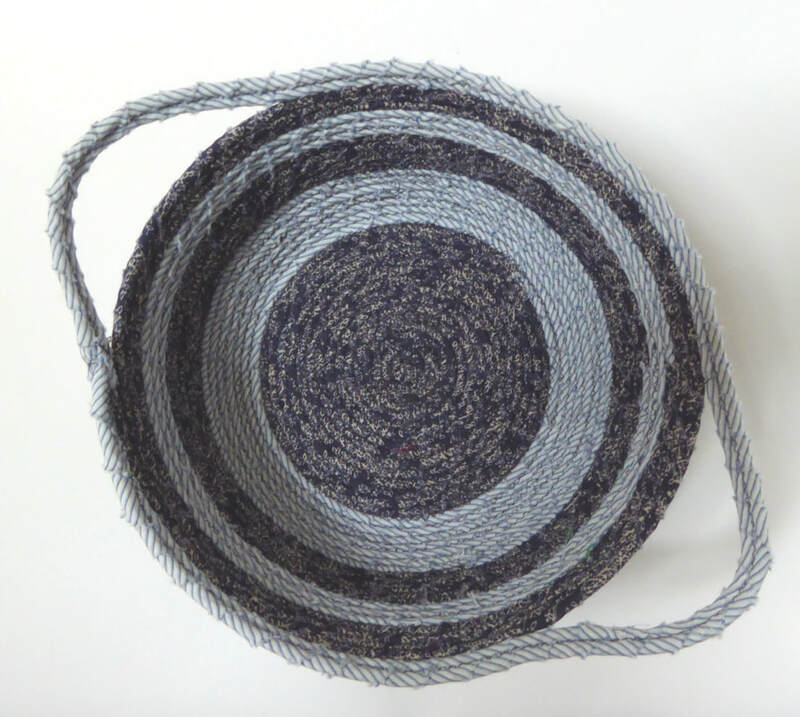 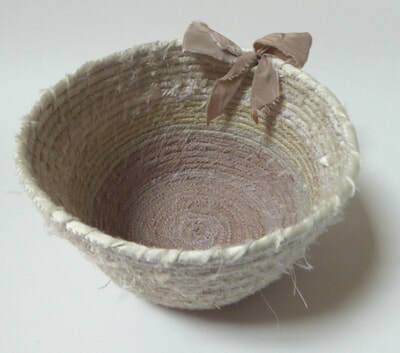 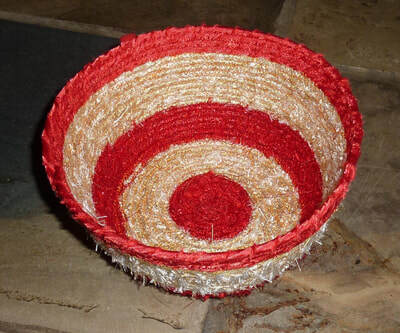 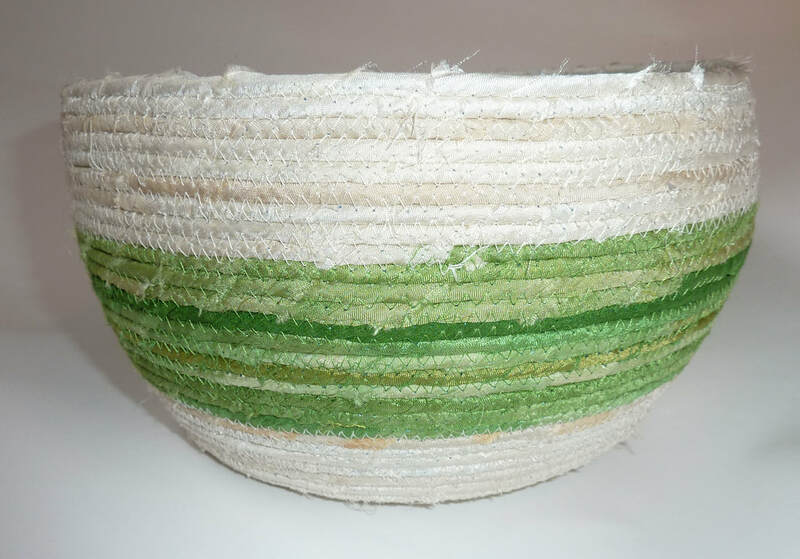 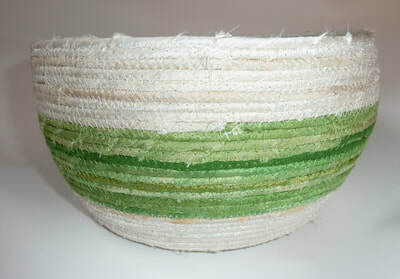 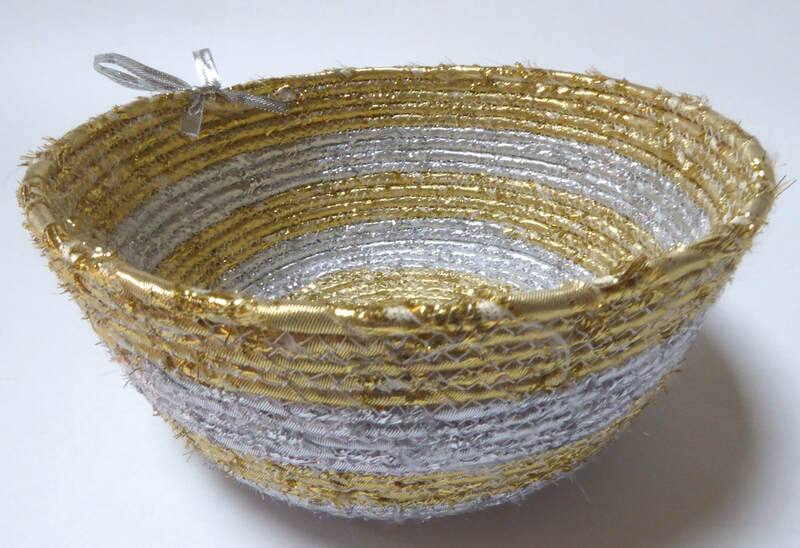 When I discovered how to make coiled fabric baskets, I had at last found a use for all the cottons, silks and taffetas I had been hoarding since my teens! 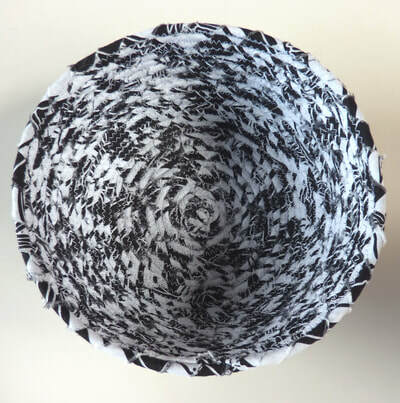 I have a wonderful store of vintage Liberty prints, patterned and plain cottons, silks and blends donated by friends, bought at sales or collected by my mother, and it is certainly going to take me a while to work my way through them. 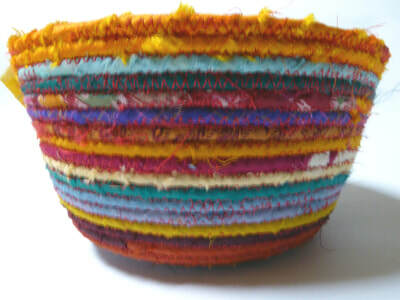 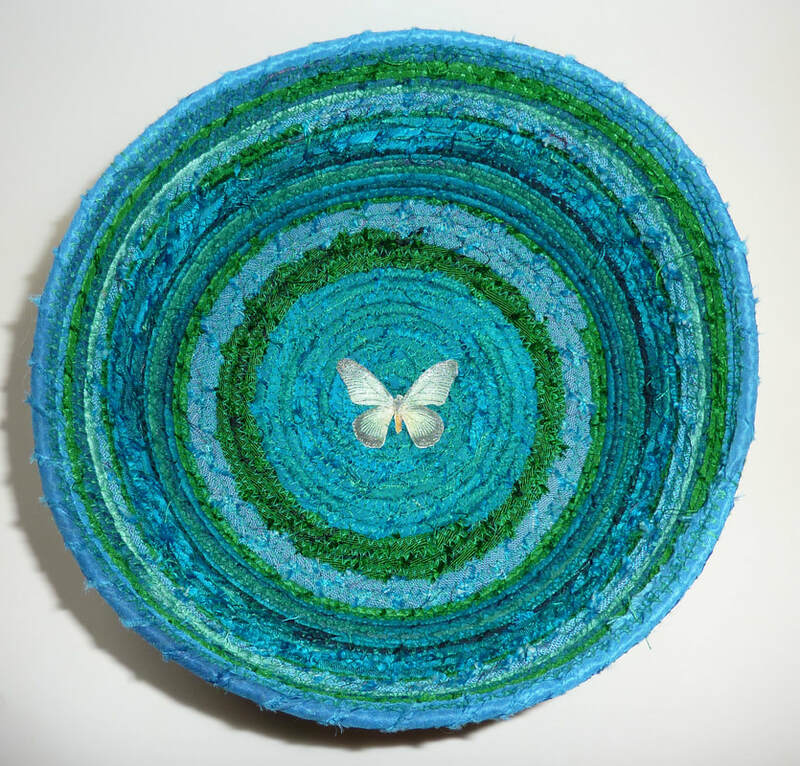 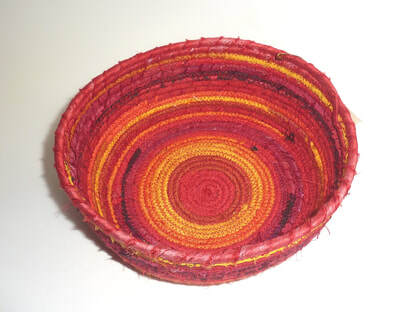 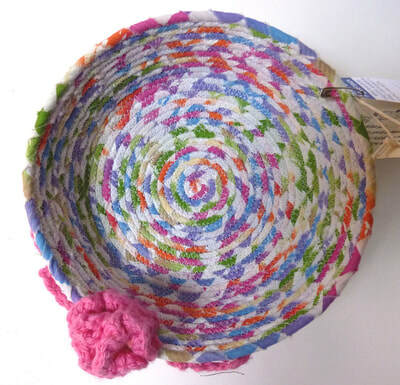 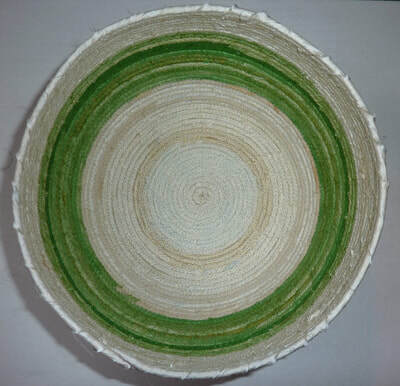 My enjoyment of colour is given free reign – I can mix fabrics, or just use one or two, I can make baskets large or small, shallow or deep and with or without lids. - in 'manly colours' for the contents of a chap's pockets! 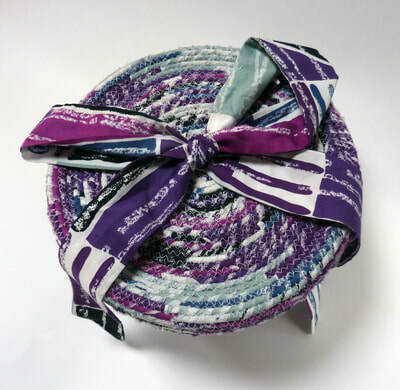 I am also happy to work with customers’ own fabrics, on their own or teamed with some of my own – a great way to keep just a little bit of all your favourite dresses (or your daughter’s) without having to keep the whole outgrown or no-longer fashionable garment. I call these Memory Baskets, and you can also come along and start making your own in one of my workshops. 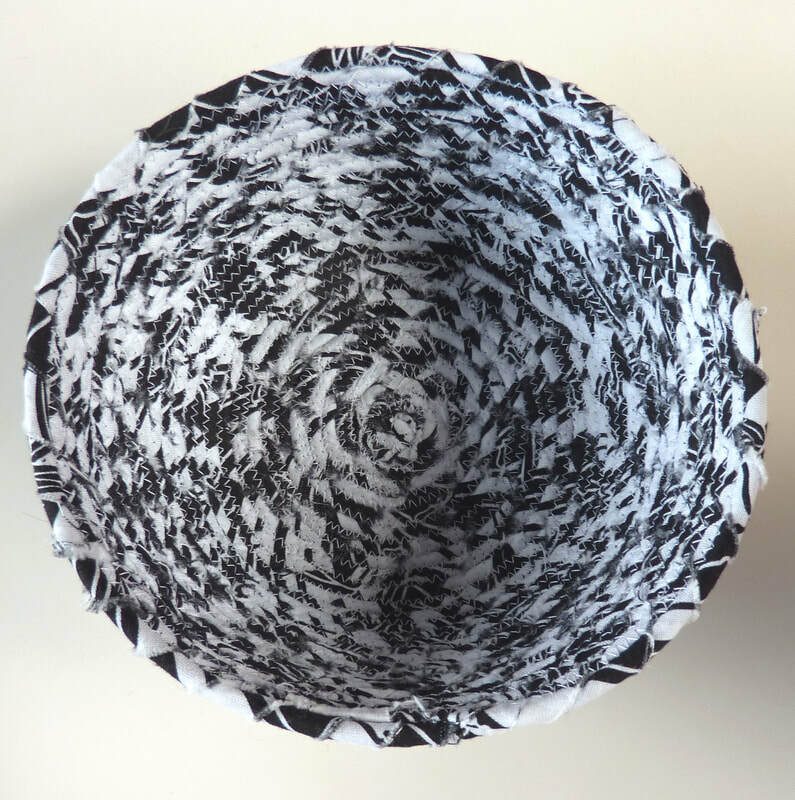 This lovely teacup made in recycled sari silks has just sold - please don't ask me to make another, it was a total one-off.